Opposition political parties, including ethnic Karen parties, welcomed the announcement by Burma’s Election Commission (UEC) to cancel nationwide by-elections planned for late 2014. The by-elections scheduled for later this year were to fill 35 vacant parliamentary seats. 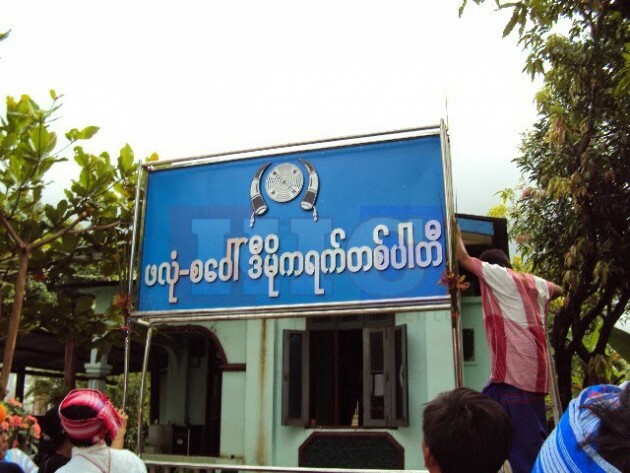 Mahn Aung Pyi Soe, vice chairperson of the Plone-Swor Democratic Party (PSDP), a Hpa-an based Karen political party, said the cancellation is a good move by Burma’s UEC. Speaking to Karen News, Mahn Aung Pyi Soe said. The by-election cancellation was announced by UEC while meeting with 35 political parties at Myanmar Peace Center in Yangon on September 7. Another Hpa-an based Karen State Development and Democratic Party (KSDDP) also welcome the cancellation. However, not all political parties were happy with the UEC’s cancellation of the 2014 by-election. The Karen Democratic Party (KDP), a Karen party that has been making preparation to contest the by-election, criticized the decision. Saw Ye Win Naing, the KDP’s temporary chairperson said that his party made every preparation necessary to win the vacant seats. Saw Ye Win Naing alleges that the cancellation could be a delay by the UEC while trying to put in place the proportional representative (PR) system for the coming 2015 election. Speaking to Karen News, Saw Ye Win Naing said. The Burma Union Election Commission called off by-election after political parties based in Karen State, including the Karen Democratic Party (KDP), National League for Democracy (NLD), Union Solidarity Development Party (USDP) and Plone-Swor Democratic Party (PSDP) prepared to contest in the vacant seat of the State member of parliament from Constituency No(2) in Paing Kyone sub-township in Hlaingbwe township.